Planning a legacy begins with a time of reflection of the blessings and favor God has given you. During your time of reflection and prayer ask God "What is His purpose for His blessings and what legacy has He planned through you?" Appropriate estate planning is beneficial to almost everyone. Whether we are nearing the end of our lives, contemplating retirement, or younger with a growing family, estate planning boils down to determining how, when, and to whom we will transfer the stewardship of what God has entrusted to us when we can no longer serve as stewards ourselves. Some individuals fail to do estate planning because of a lack of understanding of God's Directives for Stewardship. Throughout Scripture, you will find references that speak clearly about what we are to do with the resources God provides us. It is very important to understand God's Word on stewardship. You can support the Mission of Milka Clarke Stroke Brain Trauma Foundation with your Planned Giving through the use of trusts, insurance and other planning tools. You can provide for your heirs and still leave a never-ending gift that will benefit the future of thousands of retired missionaries and ministers, workers or their widows. God's word encourages us to fix our eyes on the things that endure. An inheritance is temporary and fades as it is spent. A legacy is something tangible you place in others that lives long after you die. Create your legacy by connecting with the mission of Milka Clarke Stroke Brain Trauma Foundation, to give stroke brain trauma survivors a fighting chance at a normal life, bringing messages of hope to our marginalized and under served communities in Jamaica with financial support that permanently transform their lives for the better. Your legacy gift supports the Milka Clarke Stroke Brain Trauma Foundation and our Ministry to needy stroke brain trauma survivors and their caregivers. Planned Giving creates opportunities for both donors and Milka Clarke Stroke Brain Trauma Foundation. Determining what gift is right for you is just as important as making the gift. There are several options from which you can choose. The correct plan for you balances what you wish to accomplish for yourself, your family, and your charitable interests in your overall estate and financial plans. For additional information or assistance with planned giving options, please contact Milka Clarke Stroke Brain Trauma Foundation. While all of the reasons for procrastinating are understandable, none lessens the reality that the absence of an estate plan can have a devastating impact on an estate and the remaining family members. Transfer the assets with which God has entrusted you to individuals and charitable beneficiaries. Transfer your estate in a tax-efficient manner with as little heartache, cost, and delay as possible. 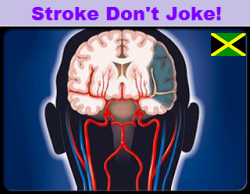 Contributions to the Milka Clarke Stroke Brain Trauma Foundation enable us to achieve our mission to reduce the incidence and impact of stroke in Jamaica through relationships and collaborations to facilitate screening, education, outcome assessments, and advocacy. Please consult with your attorney or financial advisor about the best options for you. Or, you may contact the NC Stroke Association’s office for more information. The gift of cash is simple and direct. Your donation may be applied to our stroke programs, or it can go to support the Milka Clarke Stroke Brain Trauma Foundation Partnership Program which focuses on the improvement of stroke identification, prevention and patient education- especially in high risk and underserved areas of the Country. These types of gifts generate benefits in two ways. First, you receive an income tax deduction for the market value of the property, and second, the donor avoids any potential tax on the capital-gain element in the gifted property. The proceeds of the gift can be designated as an outright cash gift. The Milka Clarke Stroke Brain Trauma Foundation can be designated as a beneficiary in your estate plans through your trust or will document. You can direct the Milka Clarke Stroke Brain Trauma Foundation to receive a specific gift, a specified dollar amount or a residual amount of your estate. Gifts under wills enable individuals to make significant gifts that they may not have been able to make during their lifetime. Effective planning with charitable giving creates significant savings in the present and for the future. Planned gifts are superb mechanisms for benefiting charitable organizations. These gifts offer opportunities to minimize federal and state taxes, and they enhance possibilities for effective distribution of assets. Matching Gift programs allow you to allocate your company’s charitable dollars to services and programs that are important to you. Matching gifts are donations made by employees and/or spouses to the Milka Clarke Stroke Brain Trauma Foundation. The donor’s employer may pay the same amount or more to the Milka Clarke Stroke Brain Trauma Foundation. Each company has its own protocol about their Matching Gifts Program. Their Human Resources Department and/or the company website will provide information on how the program works. Whenever possible, the conditions of sponsorship shall be in writing between Milka Clarke Stroke Brain Trauma Foundation and the sponsoring corporations. If you are interested in becoming a corporate supporter read the Code of Practice and contact the Corporate Alliance team us via Email or use our contact form for more information. Memorials and gifts made in honor of someone are popular ways to make a donation. The Milka Clarke Stroke Brain Trauma Foundation sends acknowledgements to the honoree, or to the family of the person in whose memory a memorial donation was made. The information provided on these estate planning pages does not constitute legal advice. Each individual is encouraged to seek advice from a qualified and licensed estate attorney within the state where you reside. While all information offered here is believed to be reliable, there are no substitutes for individual review and analysis of each person's estate plan and appropriate legal advice concerning such estate plan. Caution should be taken before proceeding with an estate plan or charitable gift without advice from your own tax accounting and legal advisers. Again, the purpose of this material is to provide general information only. It is not intended to replace qualified legal or financial advice. For advice and assistance in specific cases, you should obtain the services of an attorney or other professional adviser. Remember that state laws govern charitable gifts, trusts and wills. The Board of Directors, Professional Advisory Board members, staff, consultants and select volunteers and contracted grant seekers are required to disclose potential conflicts of interest with any and all of our corporate supporters. Milka Clarke Stroke Brain Trauma Foundation discloses all corporate funding within its financial filings, which will be open to the general public.